' Sunday morning stroll around the Grade I Listed Dinosaurs once part of the world famous Crystal Palace. Hear how the Great Exhibition of 1851 moved to South London and the dinosaurs were one of the many amusing attractions on offer to the Victorians.' Approx 1 hr. 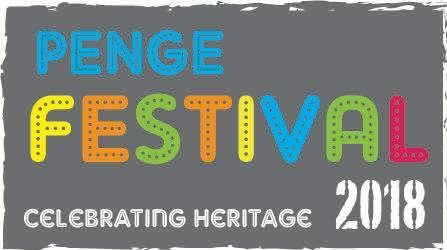 Home Front Penge - How we lived through the First World War As part of the Penge Festival - Local Historian Martin Spence will give an illustrated talk to mark the centenary of The First World War. Join us for a circular walk around Penge, finding out about the past and viewing some of the fascinating and beautiful heritage sites.